The craft of the singer-performer is much practised and celebrated in contemporary music. But the old-fashioned art of song interpretation - taking a writer's work and reading its pulse, inhabiting it, putting your indelible stamp on it - is a whole other skill. Old Blue Eyes did it forever, of course. The King came to power thanks to his brilliance at it. These days, you might think of Trisha Yearwood's finely-tuned ear for a winning country composition. But for the sheer instinct to spot the purest traditional and progressive roots music and make it hers and hers alone, you can look no further than Mary Black. 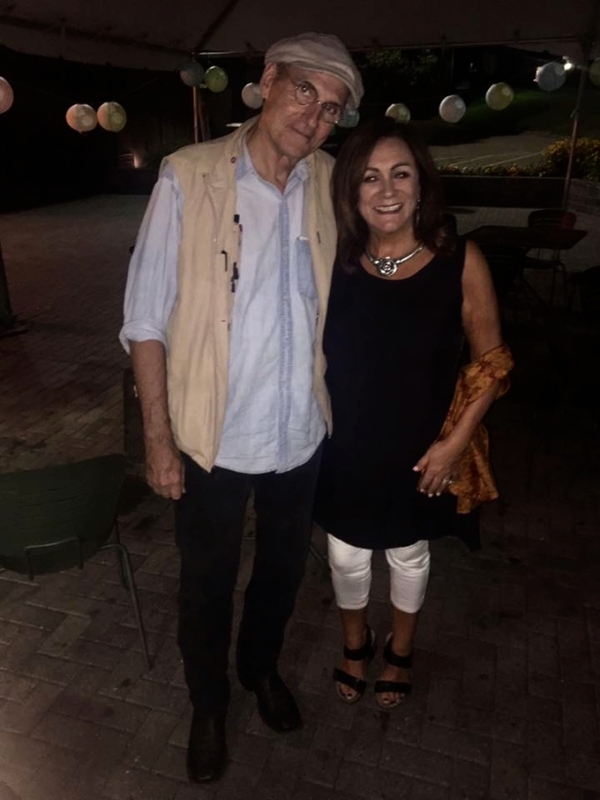 That interpretative skill that she has shown in a distinguished recording career since 1983 has never been more evident than on "Speaking With The Angel", Mary's new Dara album, which sees her returning home in more ways than one. After an enriching experience of recording her last album "Shine", in Los Angeles with producer Larry Klein, Mary has come back with a more rootsy, but no less fresh, approach for this new album. "Speaking With The Angel", sees Mary continue to bring some of Ireland's best contemporary writers into the spotlight, once again interpreting the songs of personal favourites such as Shane Howard, Noel Brazil and for the first time two new songs from Steve Cooney, while putting her delicate mark on compositions by such international names as Neil Finn and Ron Sexsmith. There's room, too, for her to celebrate the singular and much-missed talent of an artist that Mary modelled herself on as a young vocalist, Sandy Denny. "This album is folksier, rootsier, that's what 1 wanted it to be" says Mary decisively. "Over the years, people have said to me, why don't you make a folk album again? 1 feel ready for it now. We've been spending a lot of time in West Kerry, an Irish speaking area, which is steeped in musical culture and this definitely influenced the recording. 1 still love "Shine", it's one of my favourite albums and I'd like to work again with Larry Klein, she goes on. "But 1 felt the need to change again, to go in a different direction. It keeps me fresh and hopefully my audience as well". With her for this latest part of the journey, in sessions that began in December 1998, was producer Donal Lunny, an absolute mainstay of Irish Music, who produced four tracks on "Speaking With The Angel", Black produced several more herself and co-produced with Steve Cooney one of the most influential musicians in traditional music in recent years. "It's been a great experience working with Donal" says Mary. "We've crossed paths touring etc and worked together on one or two TV programmes, but nothing like this, and it's really long over due. Steve is an old friend and someone 1 greatly admire too. He's originally from Australia, but he's been in Ireland for 20 years and it's hard to believe I've only had the opportunity to work with him lately"
So the album shimmers with songs such as Cooney's "Bless The Road", Howard's "Don't Say O.K." and Brazil's "Big trip To Portland", an upbeat moment in what Black admits is a deliberately slow-moving, wistful and evocative album. Scottish writer Dougie McLean is twice represented with "Broken Wings" and "Turning Away" and Mary's latest nod back towards Sandy Denny comes with 'Moments". "She was the singer who most influenced me when 1 was starting out " she says. "When you're young, in the back of your mind as a singer you always have someone you're trying to be, there's a picture you have, and that picture was Sandy Denny. She's been dead now 20 years, yet her songs seem to have this life, they don't date in any way. 40ments" was one of the last songs she recorded herself, and it moved me, like a lot of her music does". 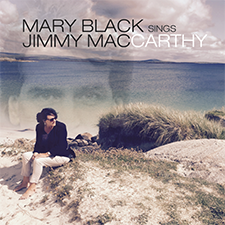 Most of Mary's material come from Irish songwriters but sometimes she will earmark a notable composition from further afield and paint it, Black. 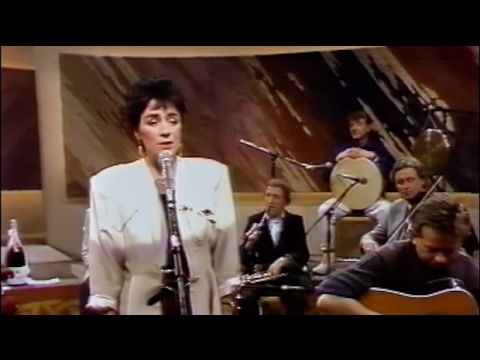 This time she's done that on, Neil Finn's "Fall At Your Feet" and "Speaking With The Angel" a song from the first album by the wonderful Canadian singer-songwriter Ron Sexsmith. It's been a long road from the folk clubs of Dublin to international, award-winning acclaim for Mary Black, especially with those detours and doublebacks she likes to set herself. In the summer of 1999, she has a very clear picture of rest of the year. "I'll be touring the U. S. doing festivals, some in July and August, then the touring starts in earnest in September. I'll be doing my first tour of Ireland for two years, then back to America in October, then it's the U.K. in November with a short sojourn in Japan in December. Already, it looks like we'll be in Europe in February". "It sounds hectic, but my limit is three week stints so 1 can hit base and get my energies up again and I'm really looking forward to performing some of the new material from "Speaking With The Angel".